Challenge your mental acuity with this puzzling game of strategically stacking tiles. 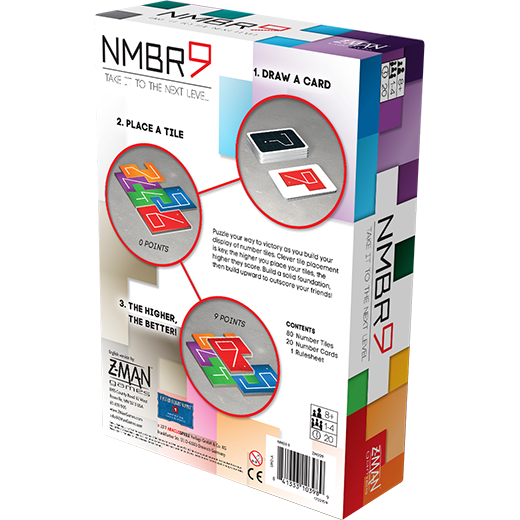 With just a deck of cards and a pack of number tiles, NMBR 9 presents a unique and varied challenge every time you play. During each round, a card drawn from the deck determines what number tile you need to place. With only two copies of each of the ten different of cards in the deck, the farther you go into the deck, the better idea you have of what cards are coming. Use all the information available to you and move quickly to build the display worth the most points. 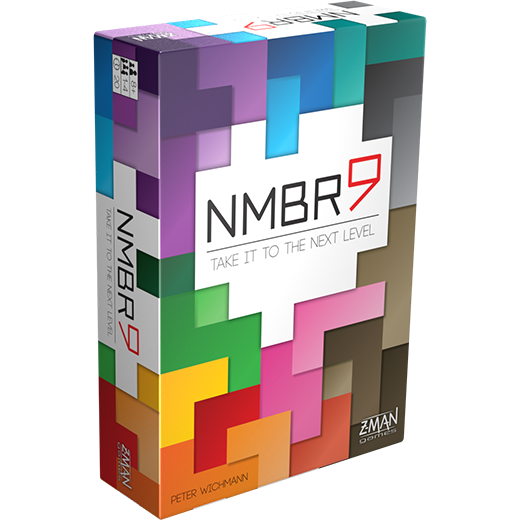 There are many solutions to the puzzle at the heart of NMBR 9, but only one of them will win.